Most of these photos were taken with good quality DSLR or “bridge” cameras with wide range zoom lenses. 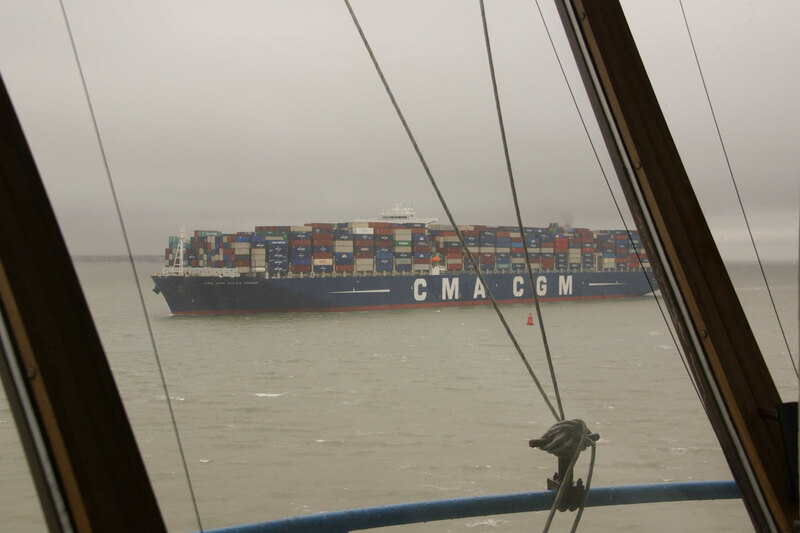 21st January: the Explorer Class container ship CMA CGM Jules Verne passes the Tower on a grey day. 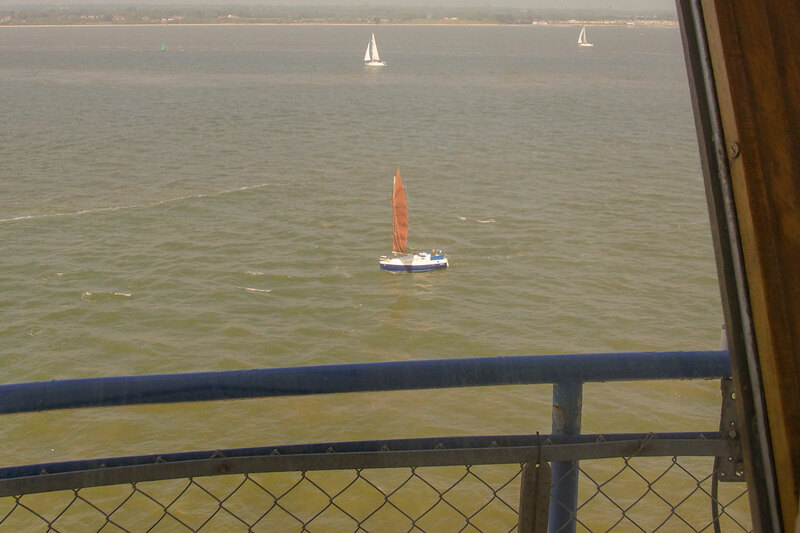 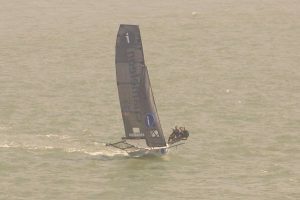 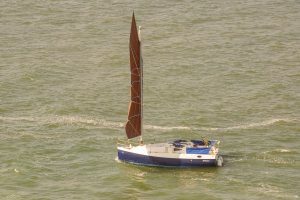 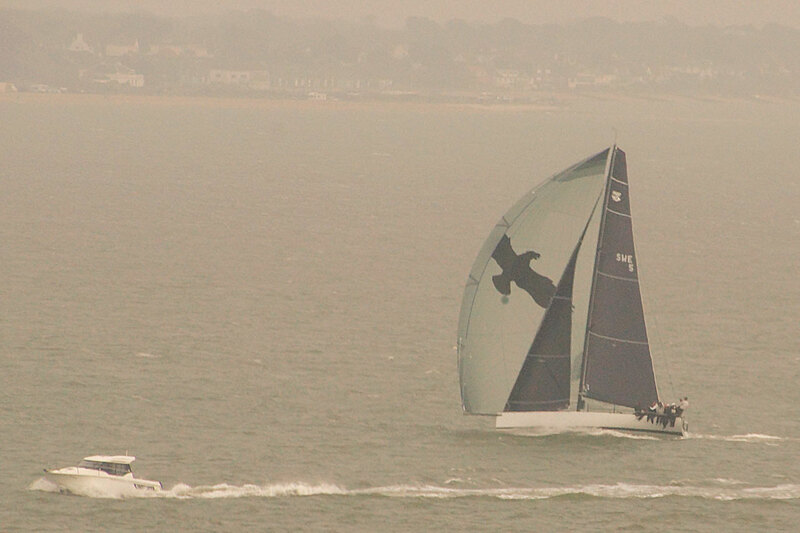 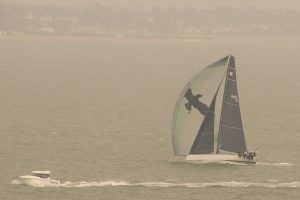 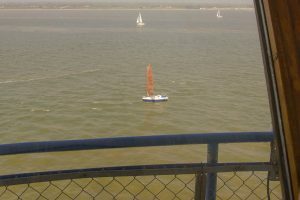 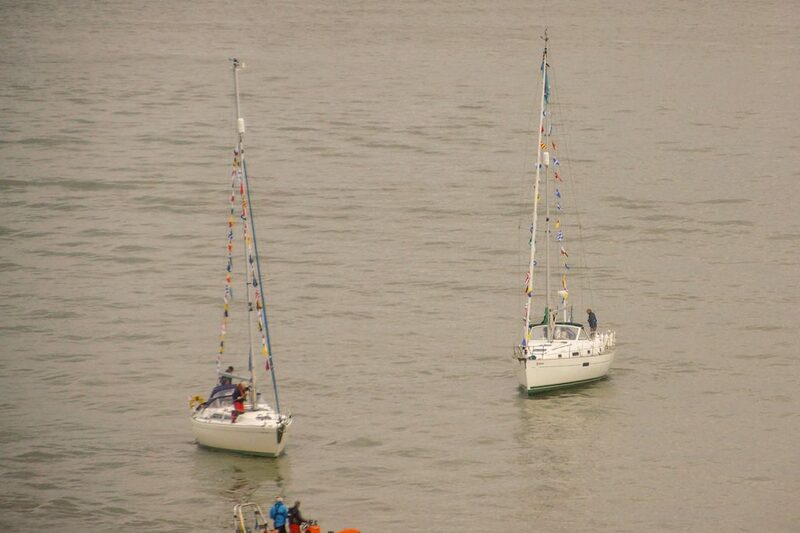 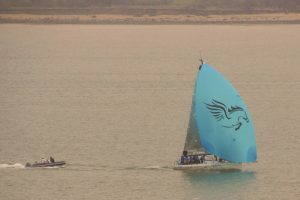 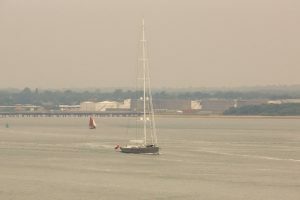 25th March: a racing yacht with chase boat passing the Tower. 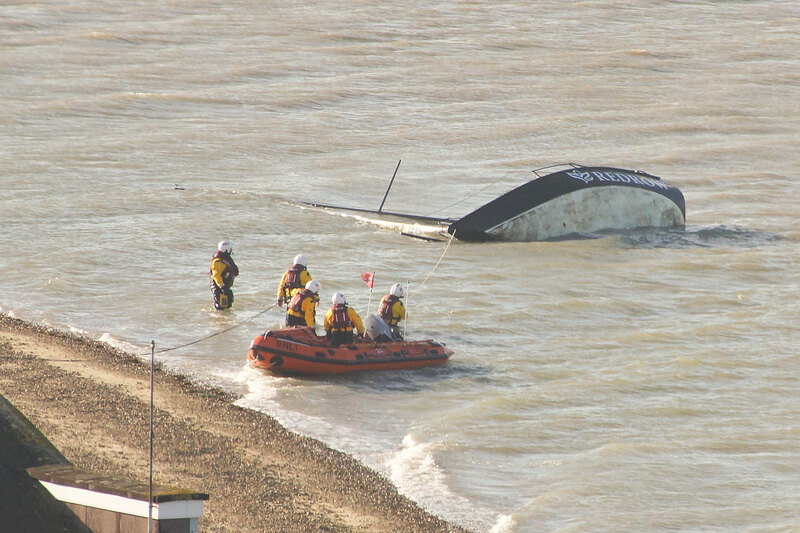 1st April: the Yarmouth Lifeboat returning after escorting a damaged yacht to the Hamble. 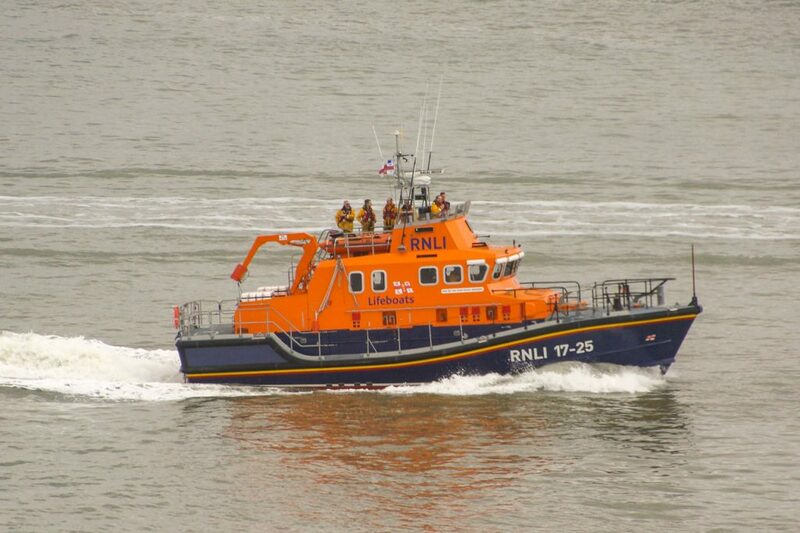 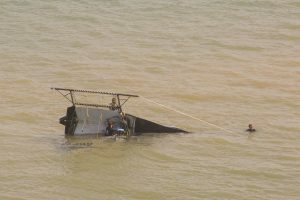 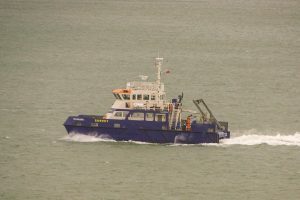 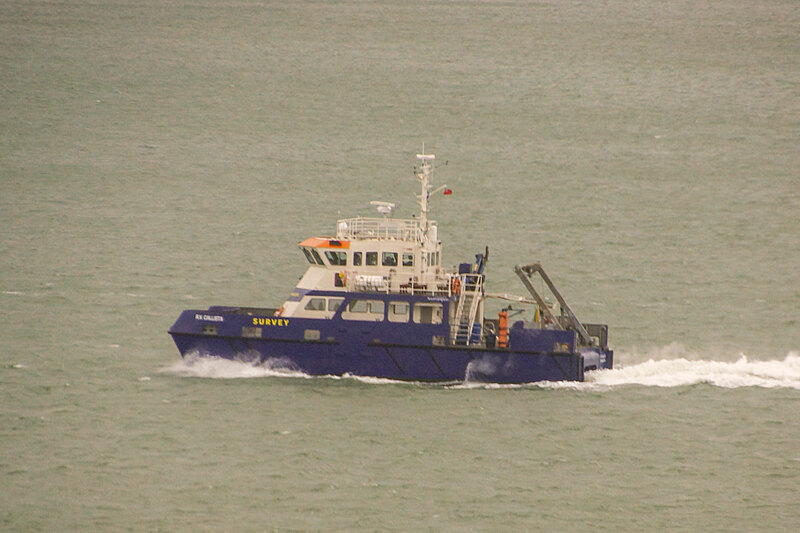 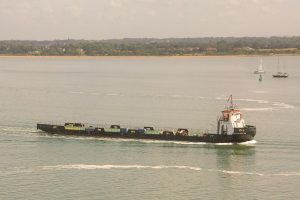 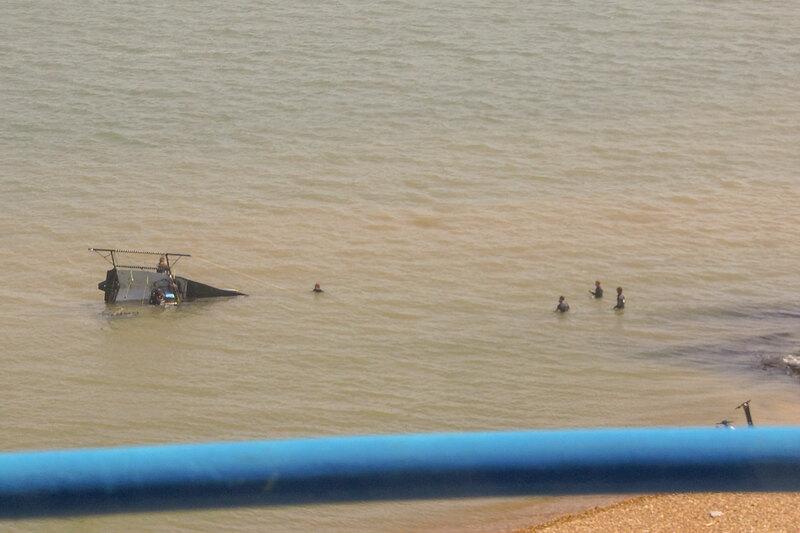 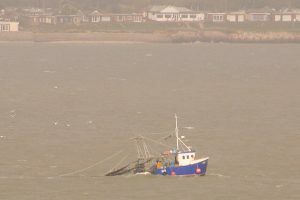 The yacht had holed its bows in collision with the East Lepe buoy and was towed back stern first by the Hamble Lifeboat with Yarmouth in attendance. 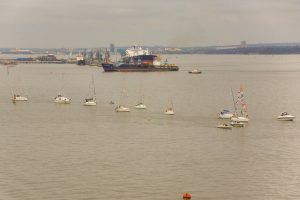 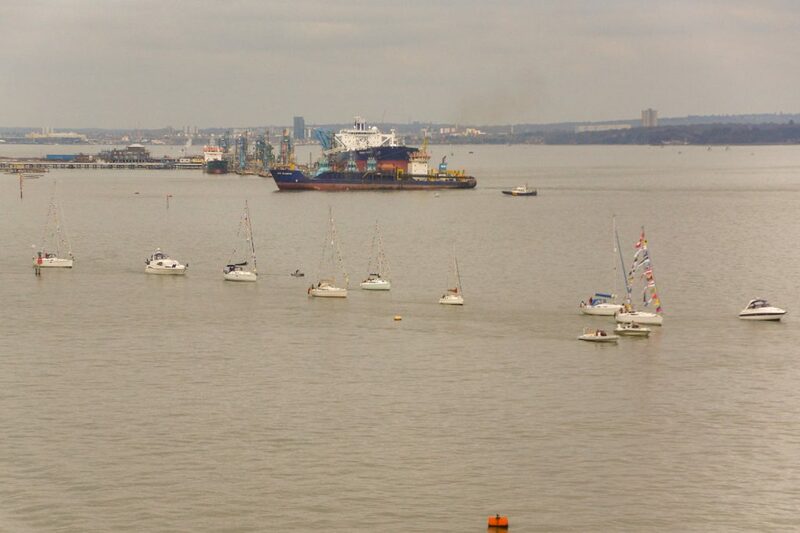 Meanwhile a parade of yachts celebrating the centenary of the RAF (from the RAF Yacht Club?) 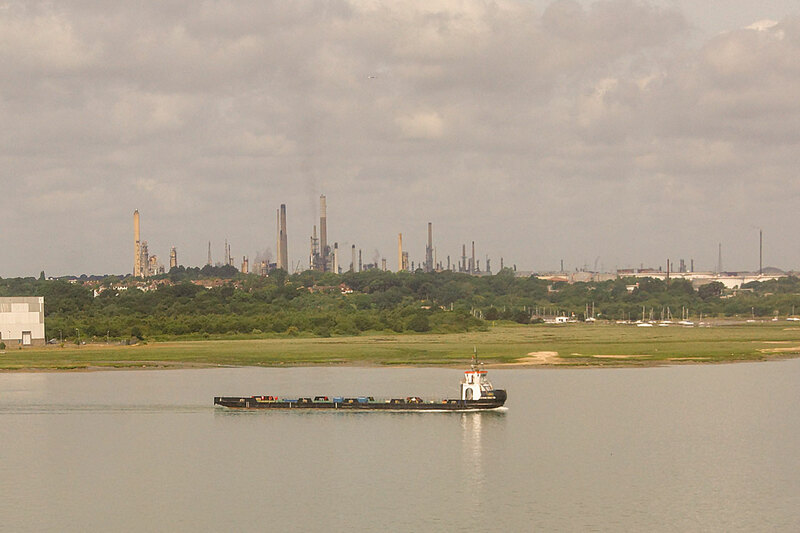 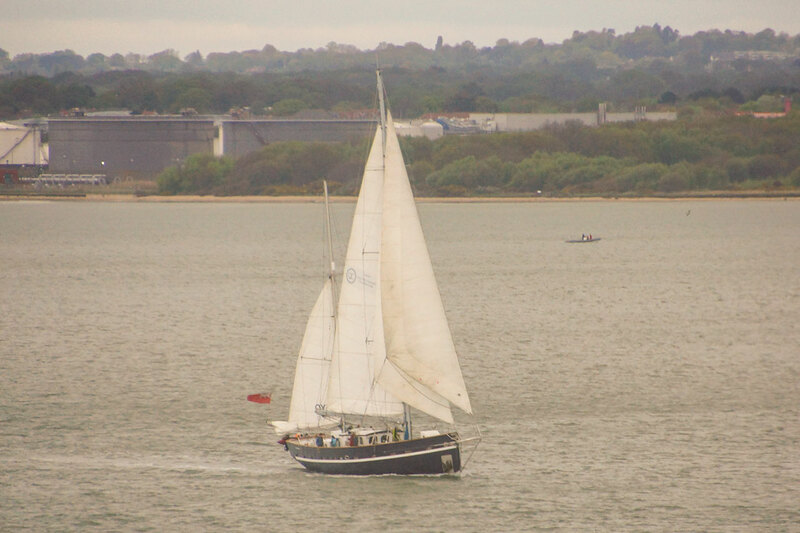 passed the Tower and made their way back to the Hamble. 8th April: the Second World War Harbour Defence Motor Launch HMS Medusa on her way up Southampton Water. 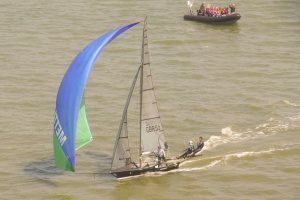 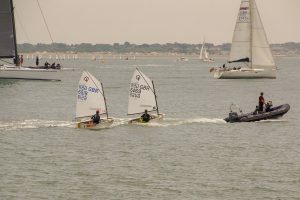 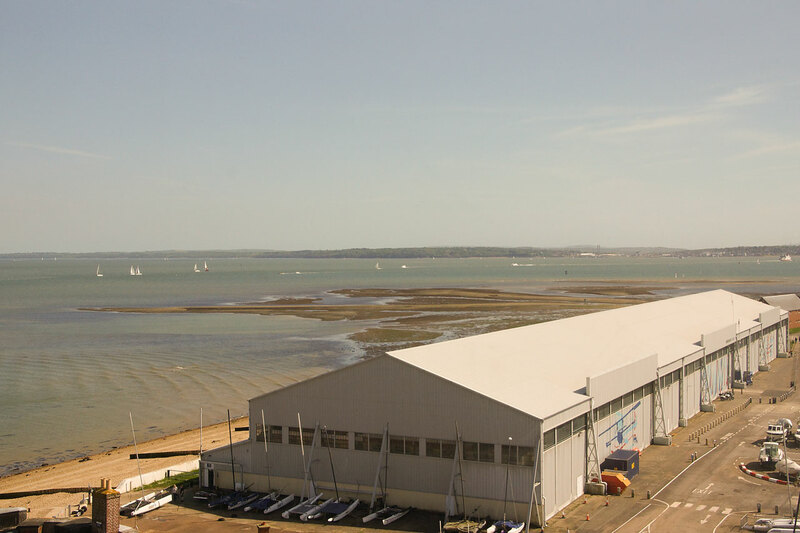 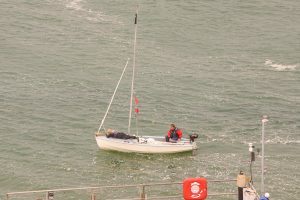 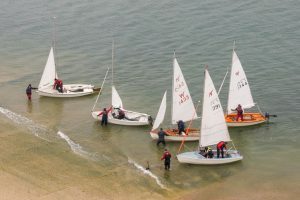 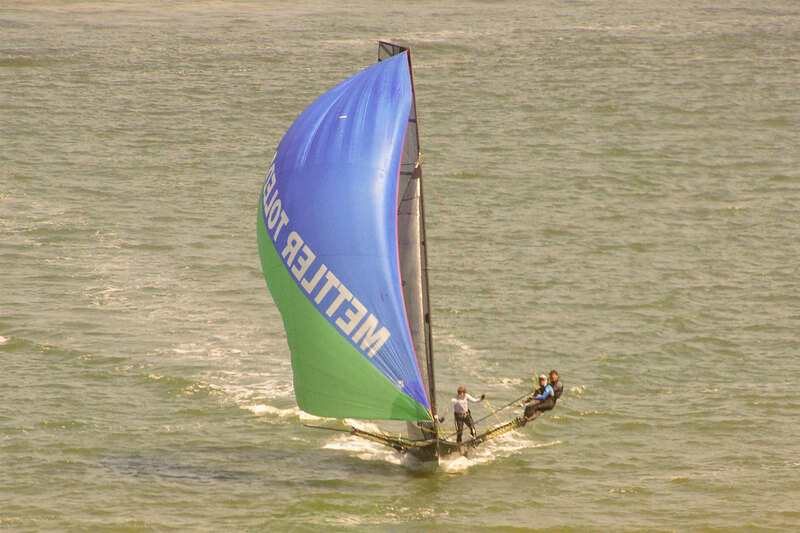 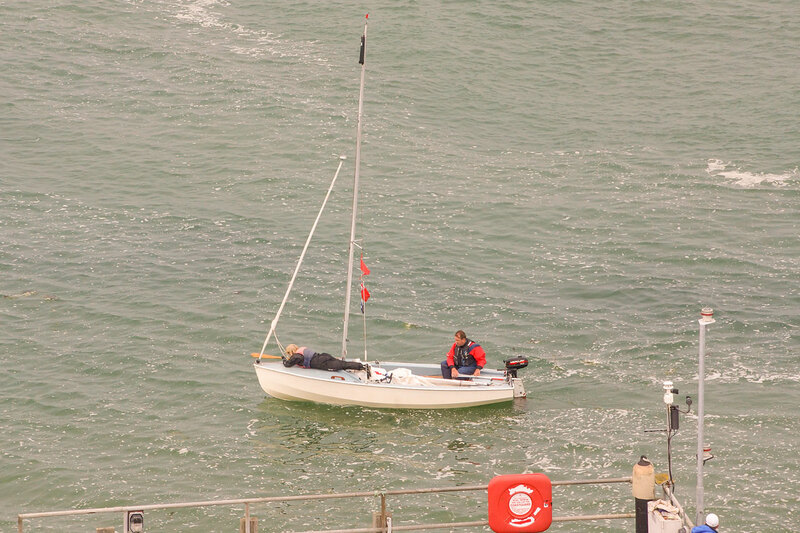 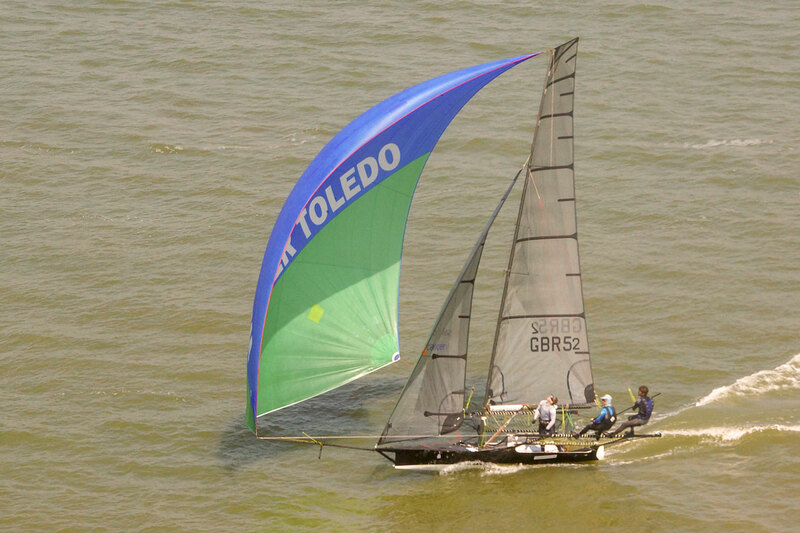 22nd April: 18ft skiffs returning to Calshot after racing – one capsized during the tricky manoeuvre of coming into land! 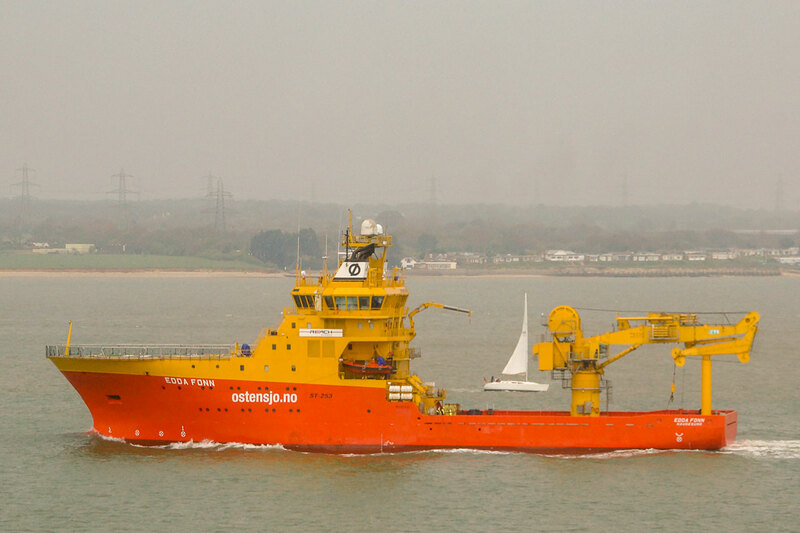 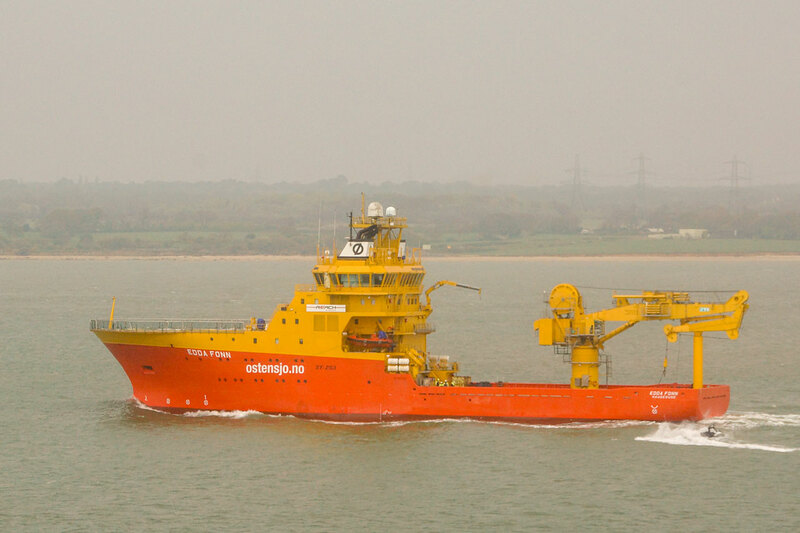 The survey/research vessel Edda Fonn operated by the Norwegian “Reach Subsea” inbound. 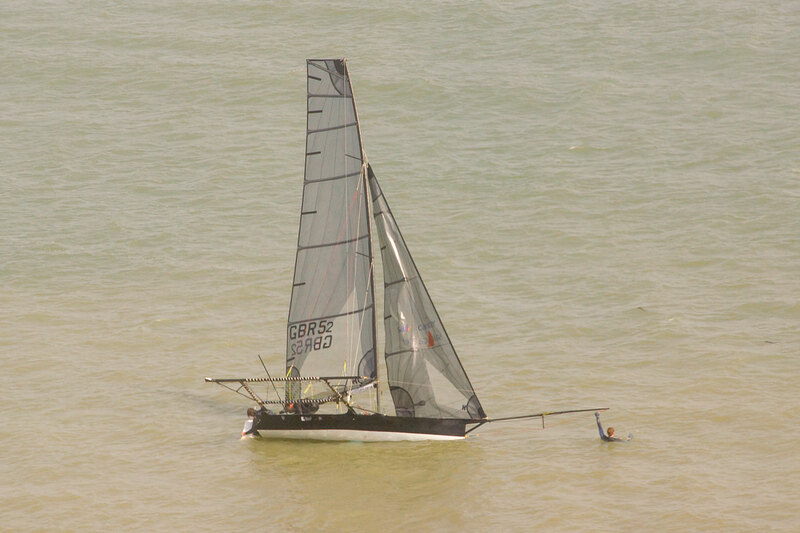 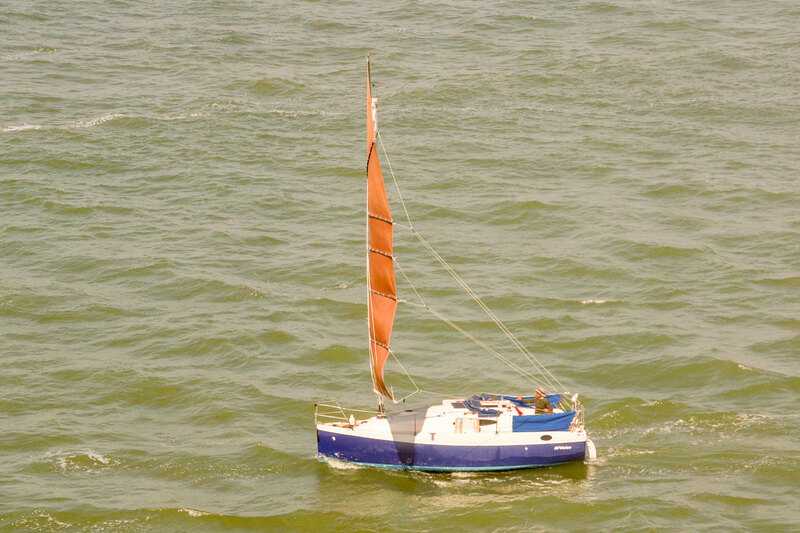 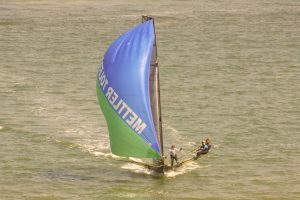 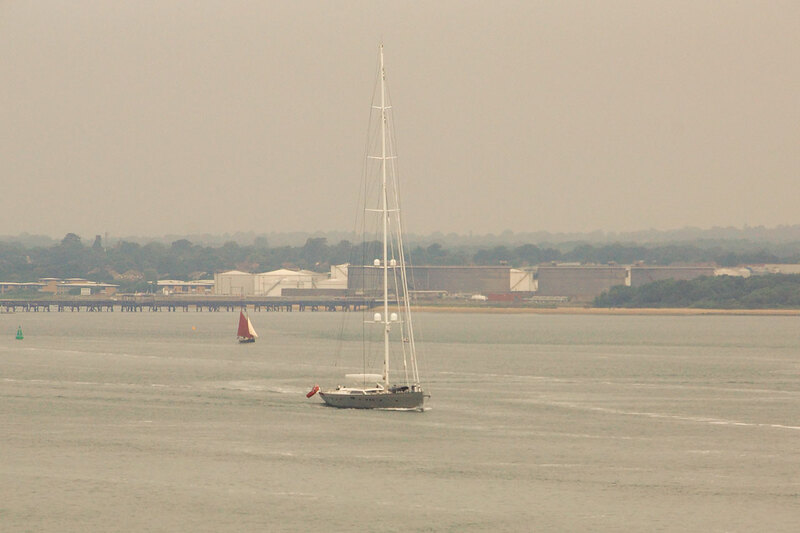 A swedish racing yacht with spinnaker set, and a fishing vessel near Solent Breezes. 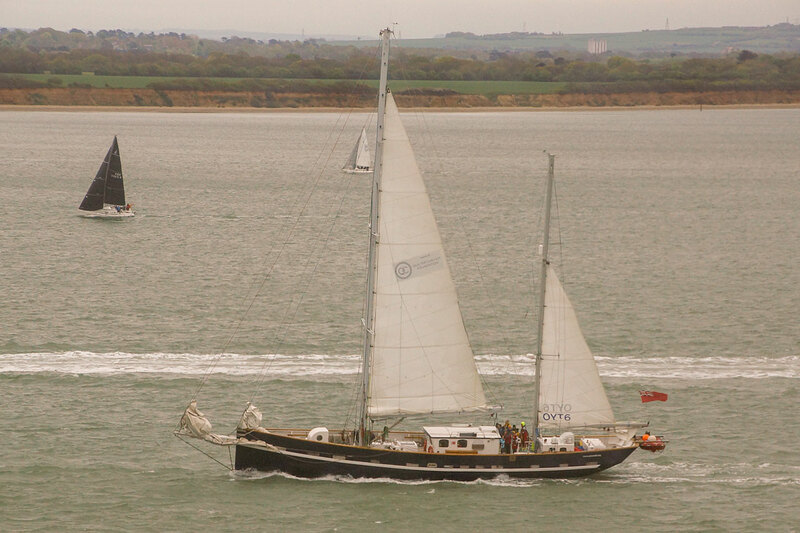 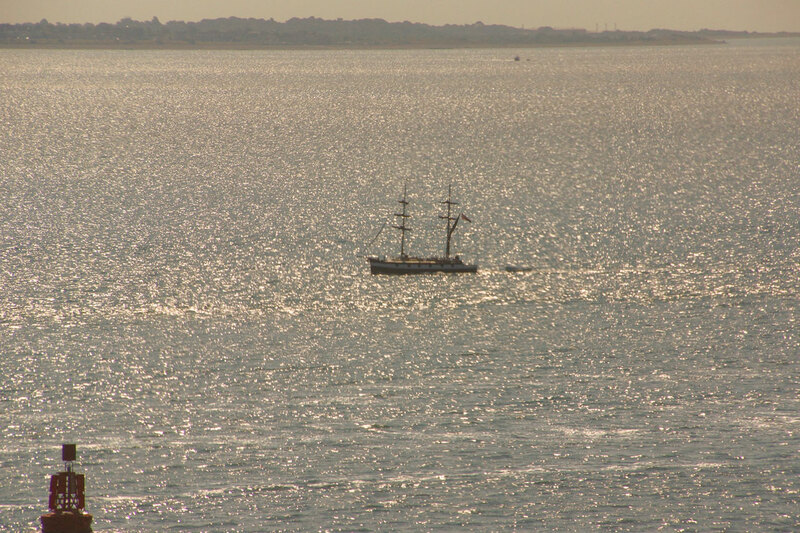 29th April: The Youth Training ship “Prolific” both outbound and inbound. 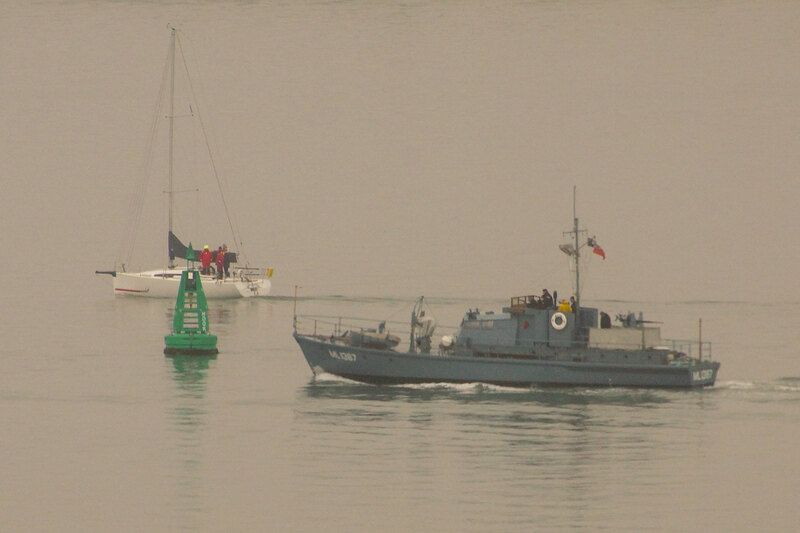 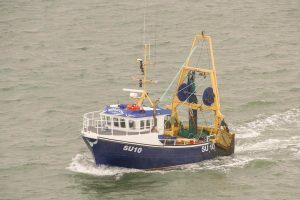 The local fishing boat “Inspiration” (SU10) is looking very smart these days! 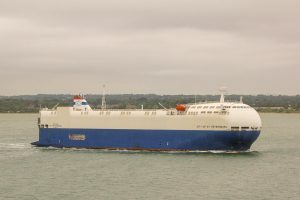 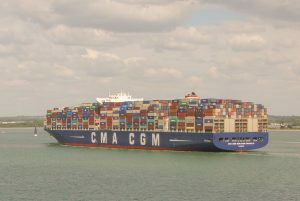 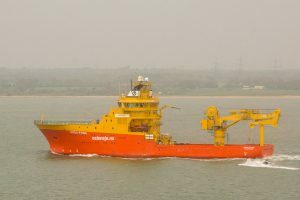 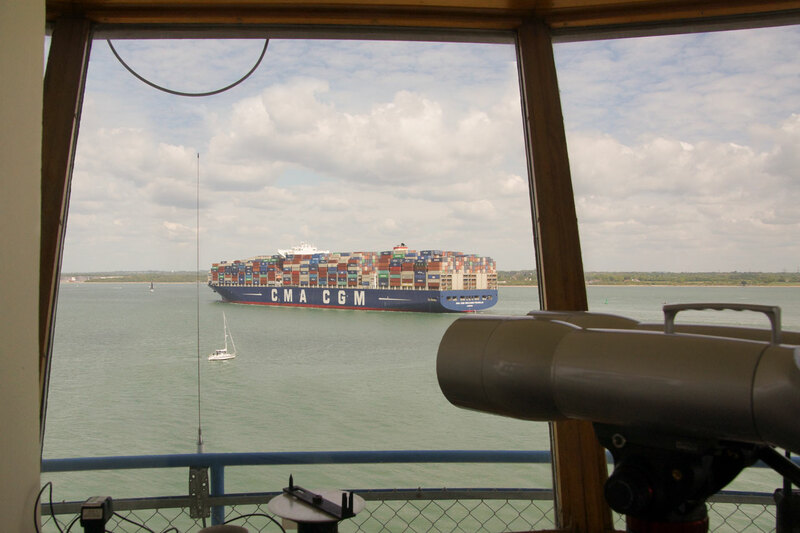 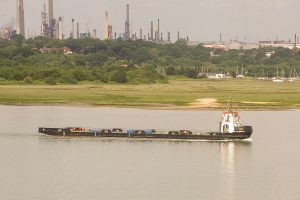 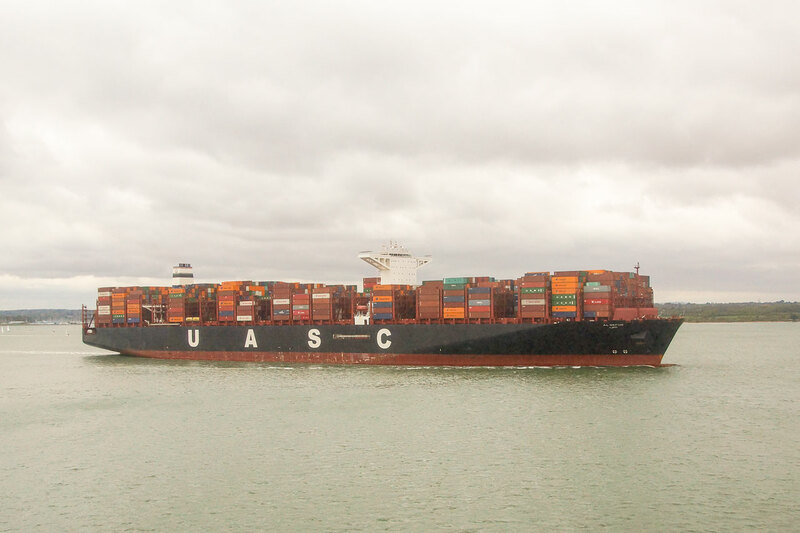 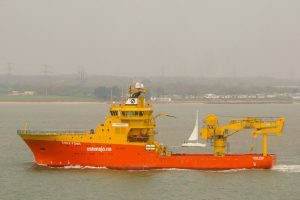 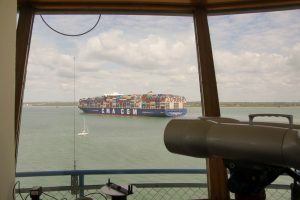 A UASC Container ship the “Al Nefud” and the Southampton University teaching/research vessel “Callista”. 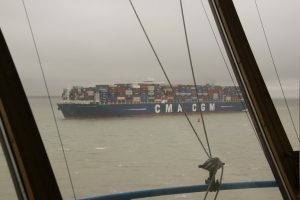 13th May: The CMA CGM Benjamin Franklin, another of those expensive yachts, and a panorama showing what seemed like an unexpectedly low tide. 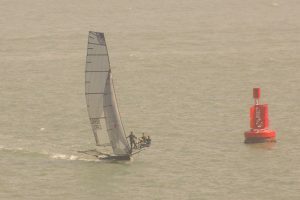 20th May: A smart cruising yacht and one of the 18′ skiffs pass close to the Tower. 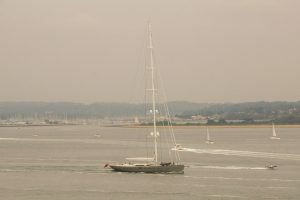 Is this a new junk rigged yacht going into Ashlett Creek? 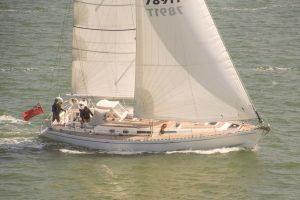 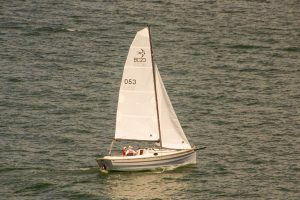 3rd June: Swallow Yachts BayCruiser 23 sail number 53 launching from Calshot. 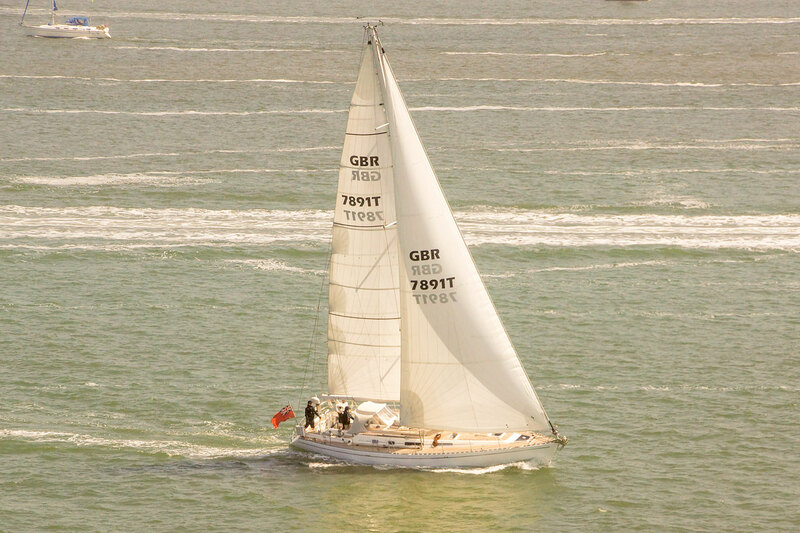 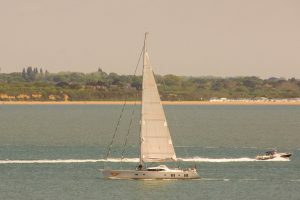 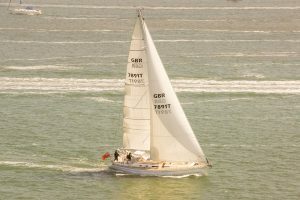 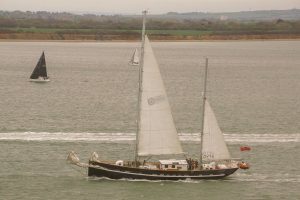 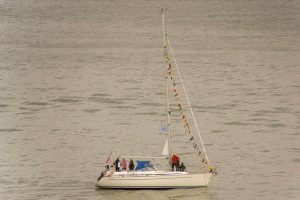 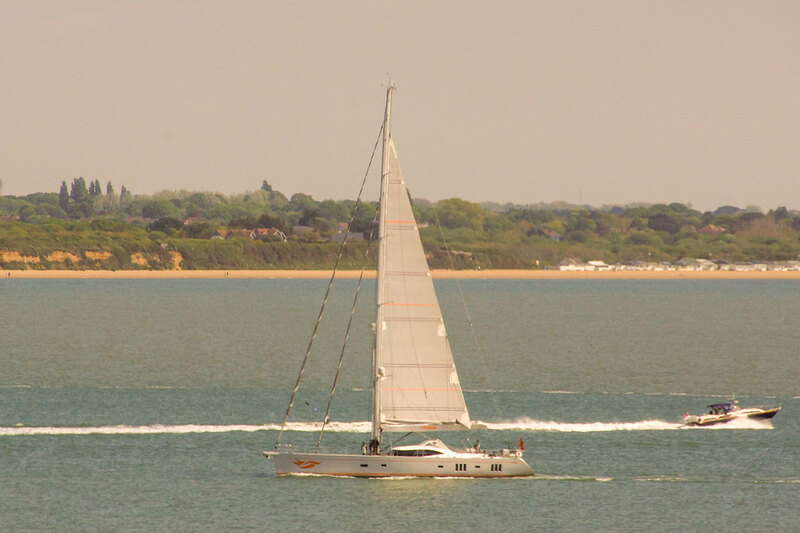 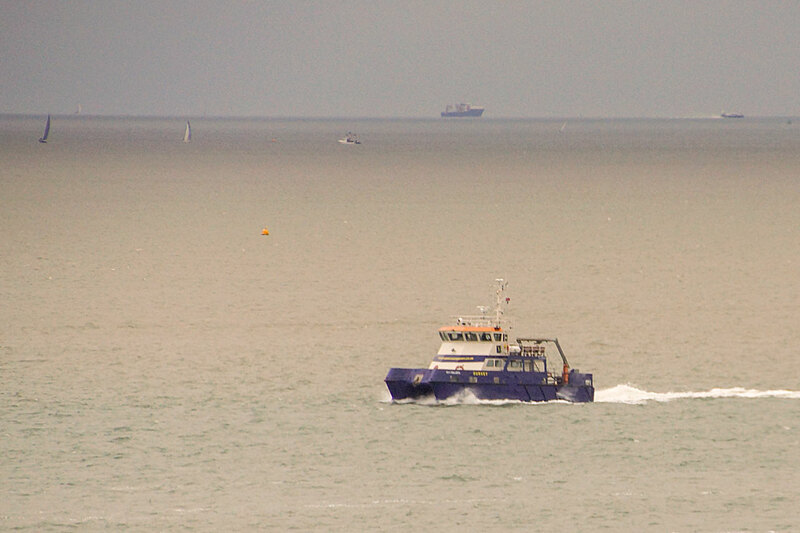 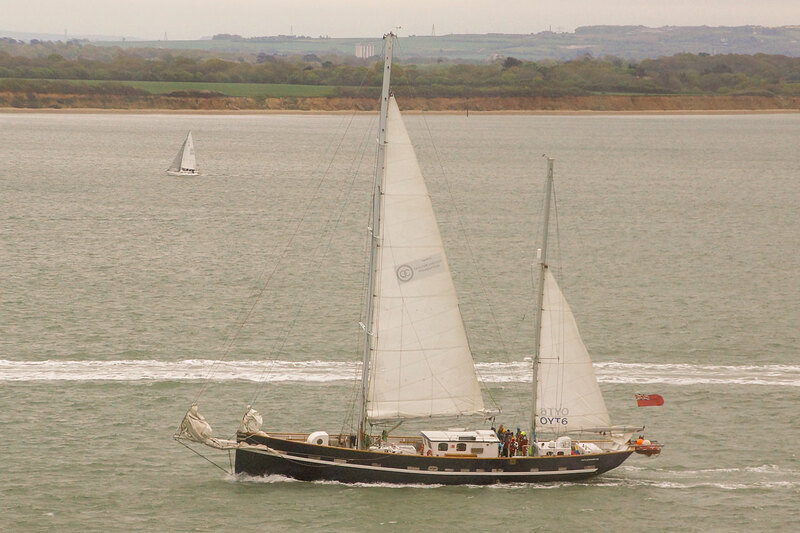 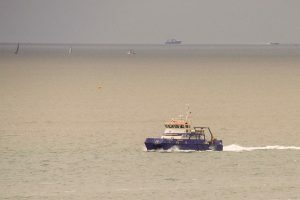 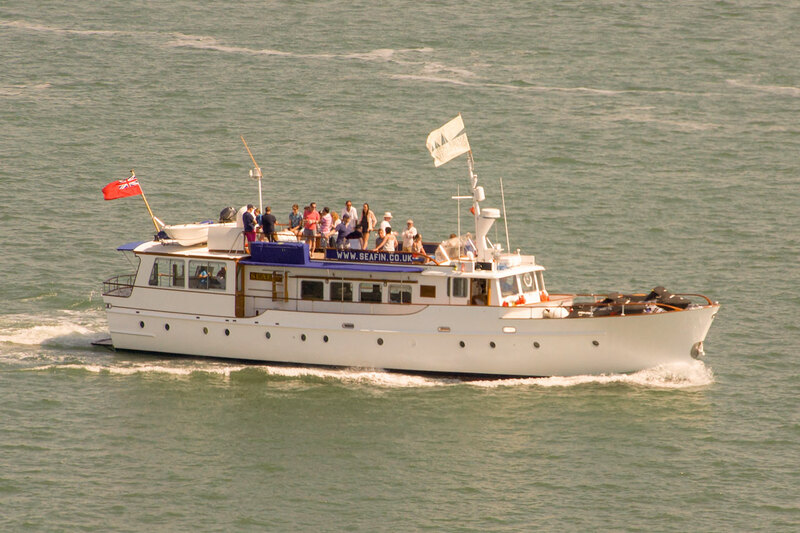 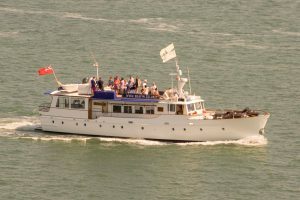 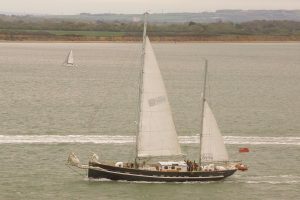 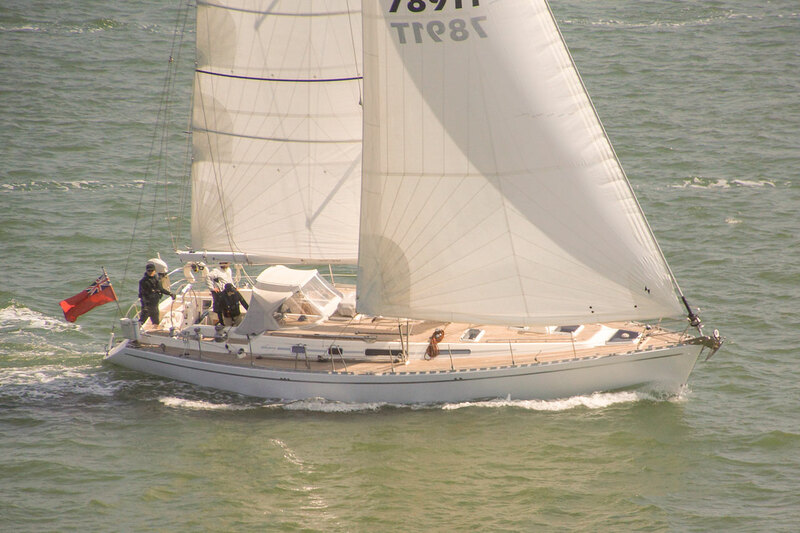 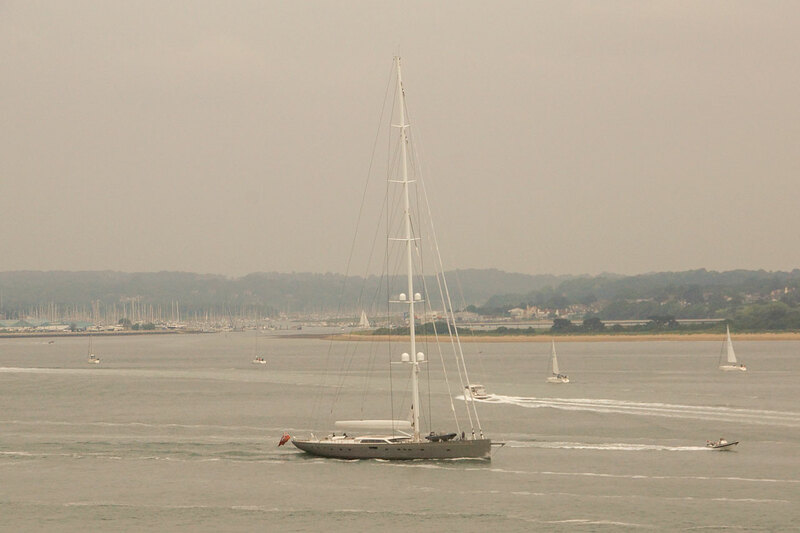 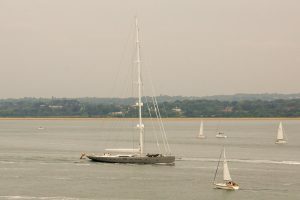 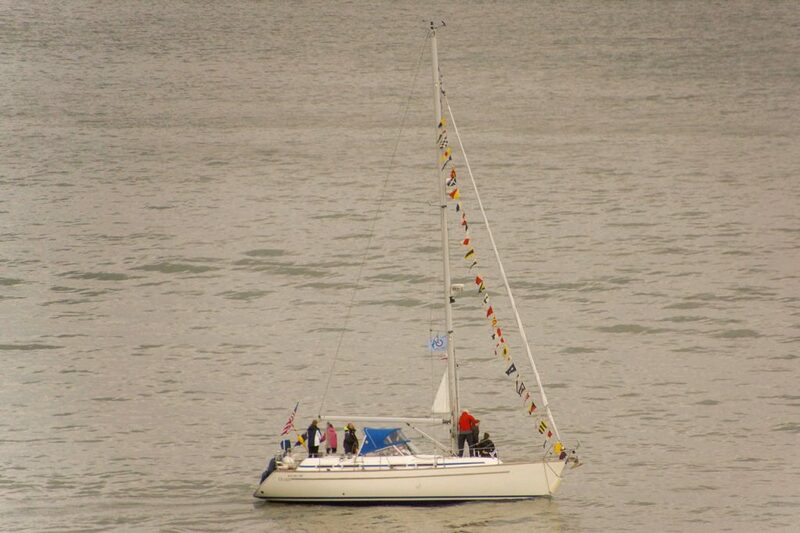 10th June: A yacht with a very high mast outbound; and a Wayfarer about to land, the previous day a fleet of Wayfarers had sailed around the Isle of Wight. 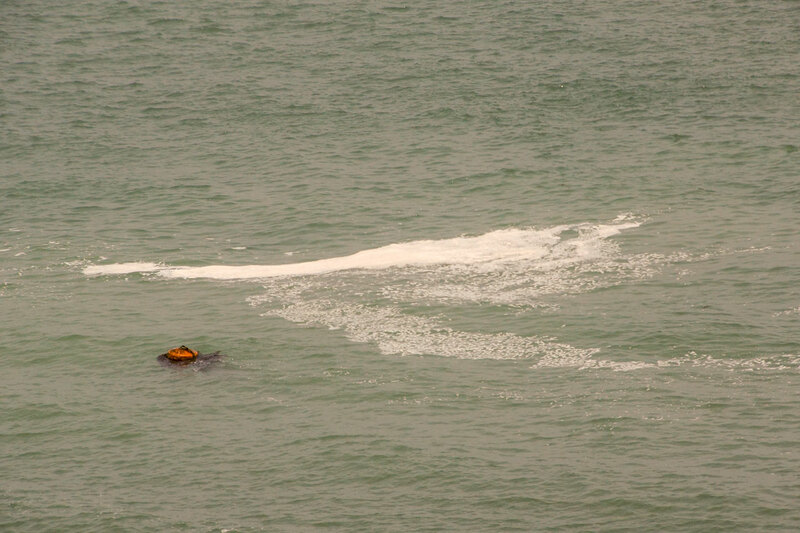 Also a patch of foam! 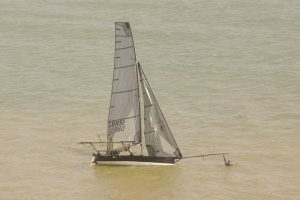 The photos show that wakes were leaving foam trails, presumably following a plankton bloom during the hot weather. 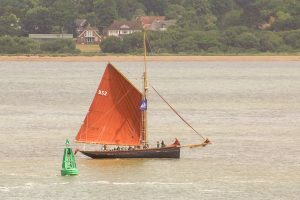 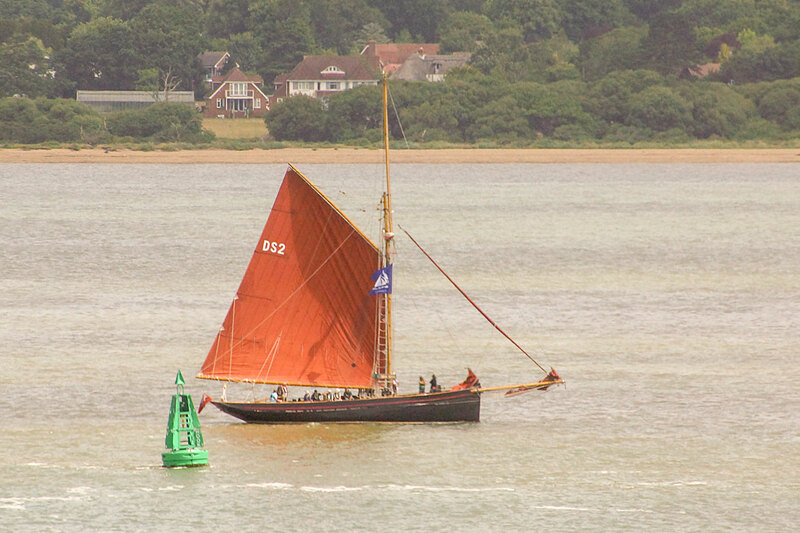 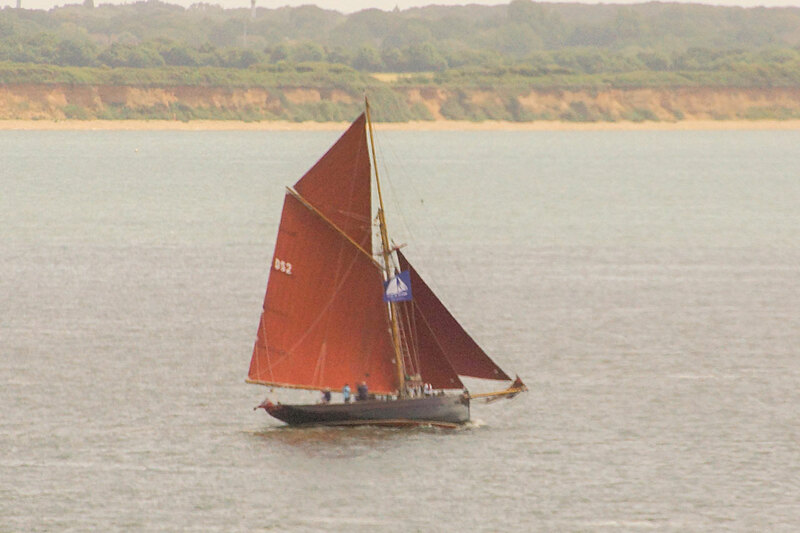 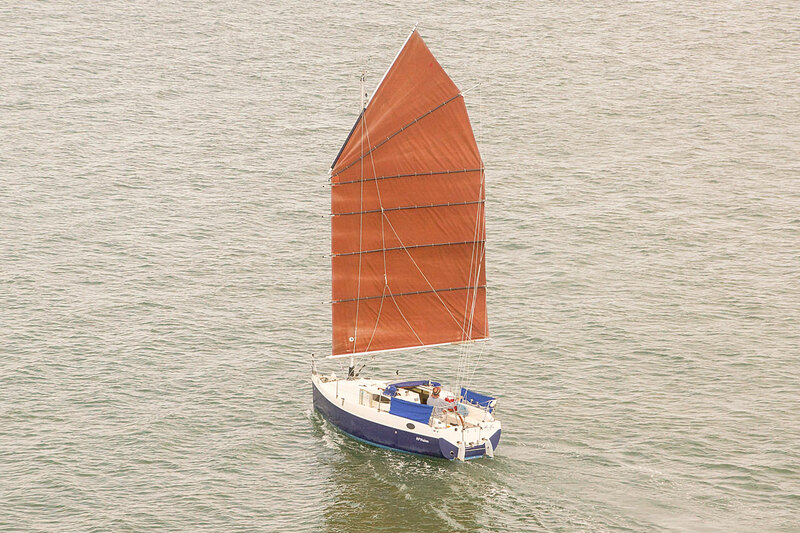 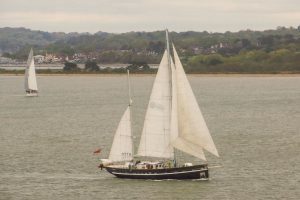 15th June: Blade Runner Two came out of the Fawley power station dock, Jolie Brise came out of the Hamble and set full sail, and the new “junk” sailed by! 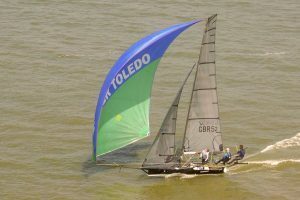 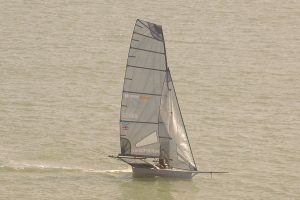 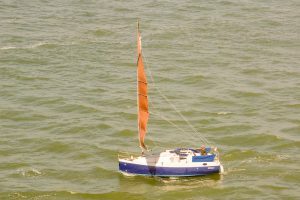 17th June: Offshore Model Racing Association at Calshot [diary entry]. 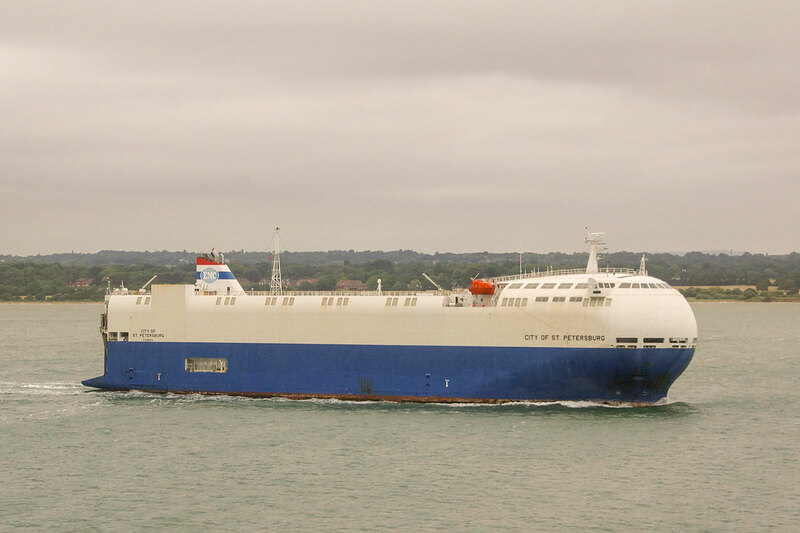 Towards the end of the watch the City of St. Petersberg was outbound – a different shape of car carrier! 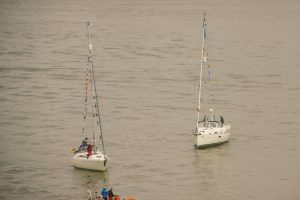 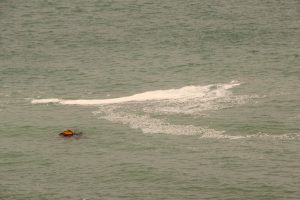 23rd June: Thundercat racing and a YM Senior [diary entry] . 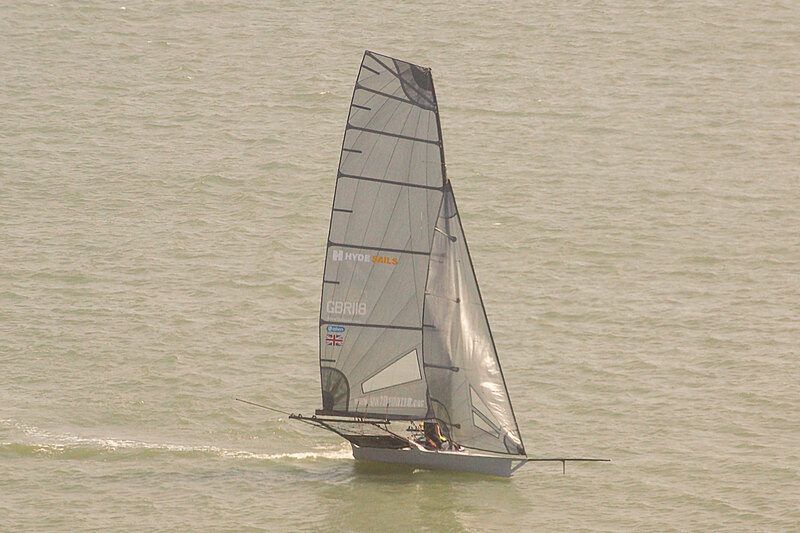 Also an “Oppie” regatta at Warsash and coaching Oppies at Calshot – 97 oppies counted! 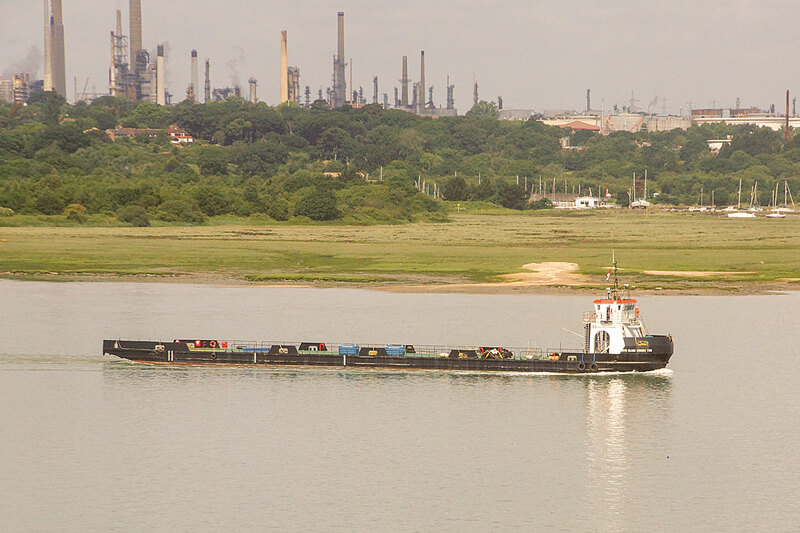 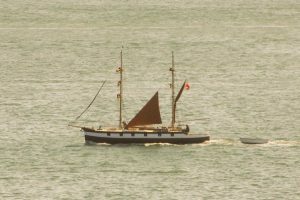 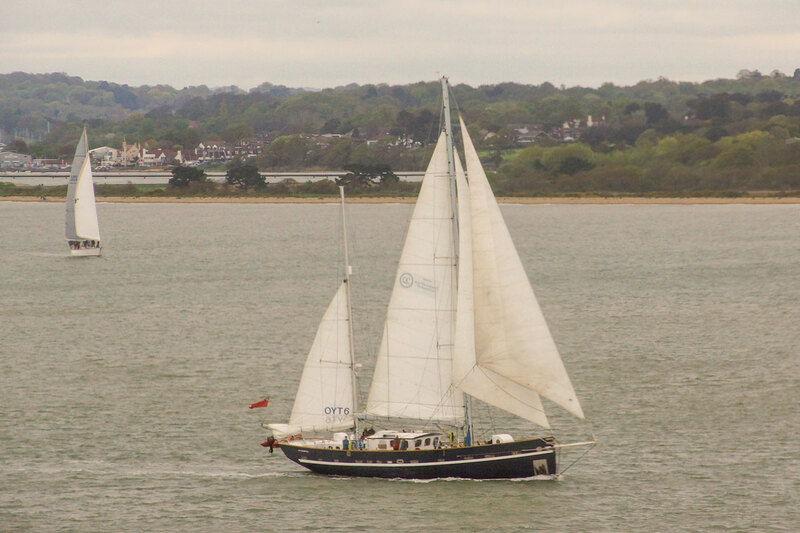 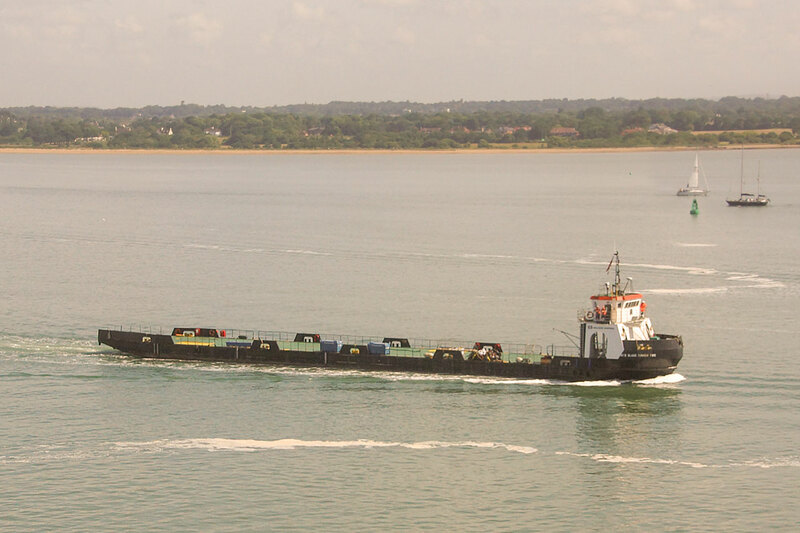 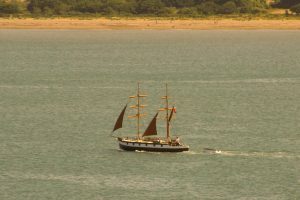 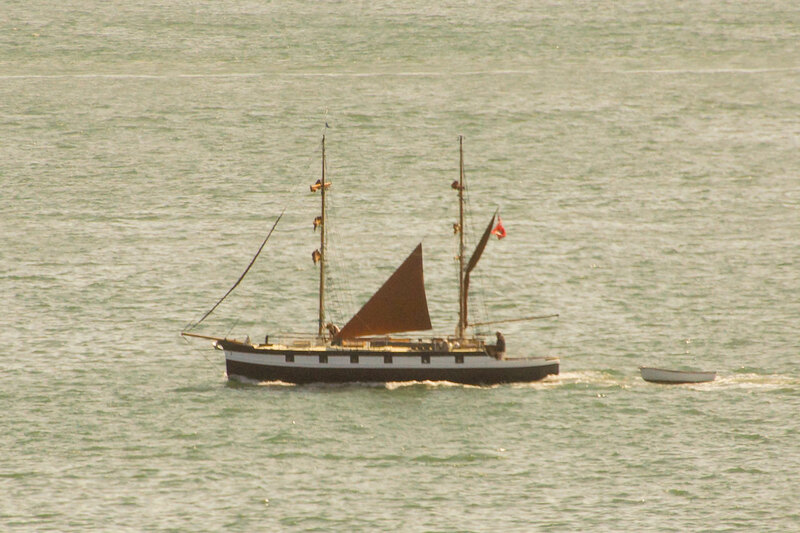 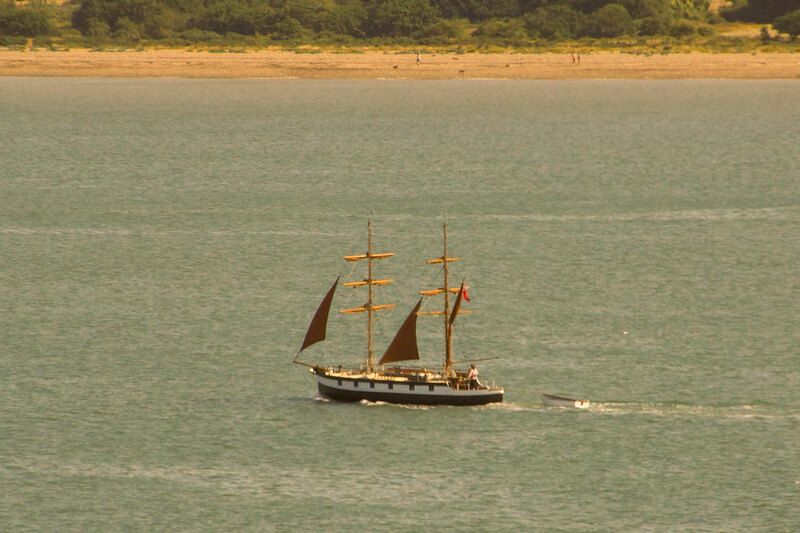 29th June: A rather unusual “square rigger” and Seafin outbound from the Hamble!